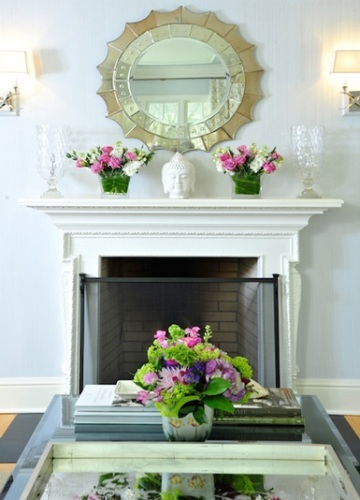 There are several ways to consider on how to decorate a fireplace mantel with a mirror. The fireplace mantle can be decorated with various items, knickknacks, memorabilia, accessories and pictures. If you want to enjoy a reflective and stunning decoration on the fireplace mantle, you can set a mirror on the top of fireplace mantle. There are various types of mirrors that you can get on the stores. Pick the one which can support the elegance and finesse of the living room. 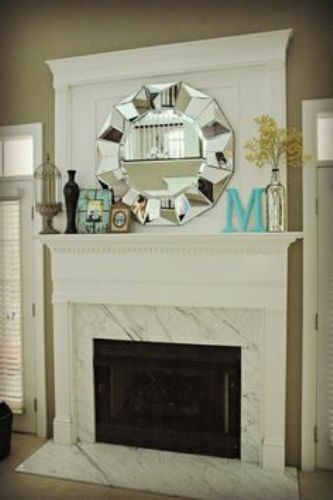 Here are some ways for decorating a fireplace mantle with a mirror. Find out the perfect shape of the mirror before you set it on the fireplace mantle. The mirror is available in various shapes. You can choose the usual one in square, rectangular, oval or round shape. If you want unique design, it can be in irregular shape, octagonal or hexagonal shaped mirror. Select the one which can complement with the decoration of the living room. Get ways on how to decorate fireplace mantel for wedding here. 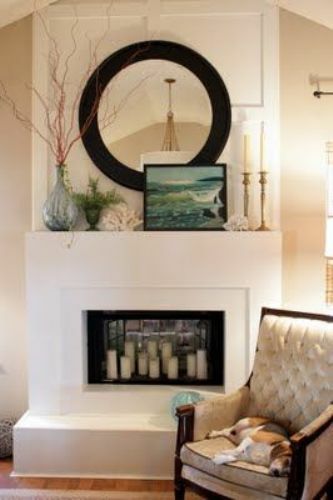 You can create a stylish balance on the fireplace mantle if the mirror comes in the proper size. If you have a square shaped fireplace, you can put a circular orb of glass mirror at the top. You can pick the medium sized one. If the mirror is bigger than the fireplace, the living room looks weird. If you are interested to evoke the art deco style in the living room, you can pick the octagonal shaped mirror. It can be framed with sparkling mosaic tile. 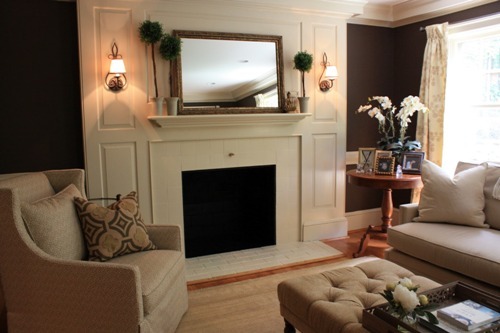 If you want to enjoy the rustic look on the fireplace mantle, you can paint the fireplace brick in white. Then you can put a rich wooden mirror at the top. Now decide the position of the mirror on the fireplace mantle after you have done picking the suitable mirror. Since position is everything, you can try putting the mirror in different angle. The usage of mirror can go well with the feng shui style. It can balance the energy in the living room due to the powerful reflection. Make sure that it can lean against the wall securely. 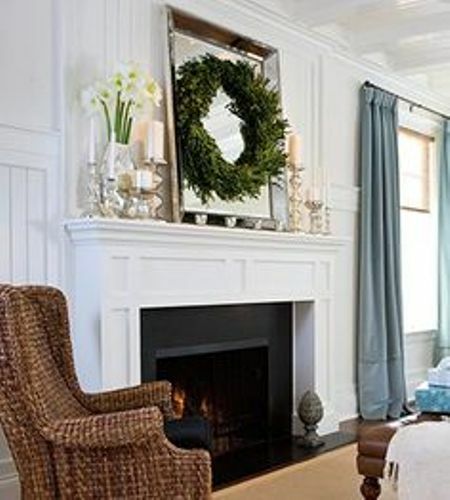 Are you interested reading ways on how to decorate a fireplace mantle with a mirror?